Coach Torres has a long list of qualifications and an innate ability to highly motivate people to achieve their goals. His training methods are received extremely well by all ages & genders. 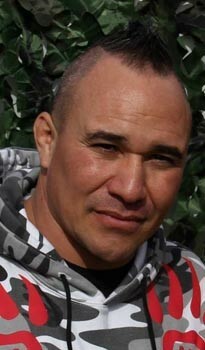 He began wrestling at age 4, Martial Arts Training at the age of 6 and boxing at the age of 8. He wrestled all four years of high school, joined the Marines at 18 and during his 6 years of service he served as a Marine infantry leader and retired as a Peace Officer and Desert Storm and Somalia Combat Veteran. He spent 6 years as assistant wrestling coach for both male and female teams at Canyon High School and took one of the female wrestlers clear to the international championships where she placed 12th in the world. Coach Torres is now the head coach for the male and female Orange High School wrestling teams. He has grown the program from 4 wrestlers to well over 40 in only 2 short years and this year alone has taken 9 boys to CIF and 8 girls to the regional finals. Courtney Depsky has been working in the fitness industry since 2002. You’ll know her as “The nice one.” She always coaches with a smile. But don’t let that fool you, she has high expectations. Know that when you walk through the front door that you’re there for a good thorough workout. She initially started out teaching group fitness cycling classes, strength resistance classes, Pilates, and a few other formats. She has Primary Group Fitness and Personal Training certifications from AFAA. She has also experienced the evolving changes in the fitness industry and has kept up to date with the new trend by attending workshops and has certifications for completion in HIIT, TRX, Kettlebell, BOSU, and Pilates. She enjoys all kinds of fitness. 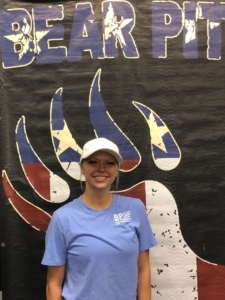 A friend introduced her to Bear Pit in 2013 when she was looking to add something different to her routine. She immediately loved the unique and challenging workouts we had to offer. She officially started coaching here in August of 2014. She loves connecting with the members and helping them reach their fitness goals in a safe, effective environment. 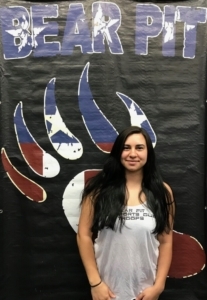 Jessah started working at Bear Pit as a sign twirler then was promoted to front desk and at the age of 18 began coaching. She fell in love with the sport of mixed martial arts at the age of 13 and has been wrestling for Coach most of her life. In her spare time she enjoys working out and staying fit. In January of 2016, Jessah entered her first MMA fight and TKOed her opponent in the second round. Tanner James graduated from California State University Fullerton with a Bachelor’s of Science degree in Kinesiology. 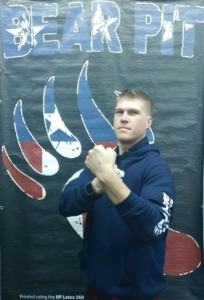 Additionally, he received his certification in Tactical Strength & Conditioning (TSAC) through The national Strength & Conditioning Association (NSCA), which provided him with a high level of hands-on biochemical knowledge along with specific programming for military, law enforcement, and firefighters. During his time in college he also worked in various physical therapy/wellness center internships that created the foundation for his exercise with fundamental technique and progressive muscular improvements. 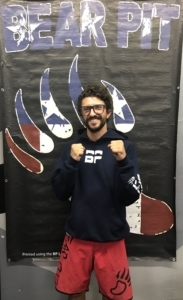 He has been a part of the Bear Pit Family since its opening in 2010 and was trained by Coach Torres during his 4 years in High school wrestling and then in Mixed Martial Arts. Topher struggled with weight for most of his life. But at the age of 24 he decided to make a change and ended up losing a total of 80lbs and changing his career plan. He wanted to help others lose weight and get into shape so he went back to school and got a degree in Advanced Health and Fitness and became certified as a person trainer and weight-loss specialist. 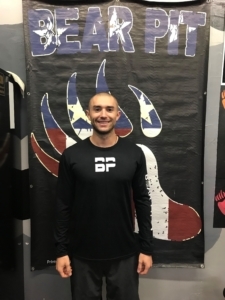 He has worked at Bear Pit for over 2 years and loves watching people change and gain confidence as they make progress and become healthier. Hannah Wiemann has been active since a very young age and this healthy habit led to her desire to help other people become active and live healthier lifestyles. She is a certified personal trainer, has her CPR/AED certification. She has worked out with Coach Torres for the past few years as a boot-camper and as a fighter. Winning her first fight in 2016. She is currently attending Fullerton College, and plans to transfer into a nursing program in the future. Dylan is 22 years old, born and raised in Southern California. 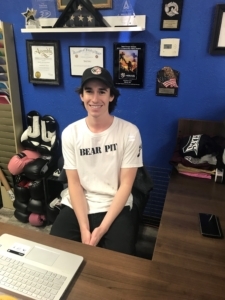 He is currently taking his general education at Fullerton Junior College and is looking to transfer to a college in Northern California to major in business. He grew up playing a lot of sports, mostly soccer and hockey and he is a huge LA Kings and Cincinnati Bengals fan. In his free time he likes to hang out with friends and family and play pick up hockey games. 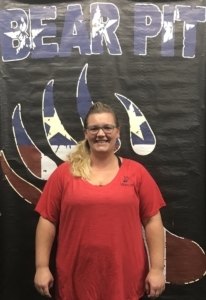 Kimberly started working out at Bear Pit in early 2017 and fell in love with it so much that she just couldn’t stay away so she made it one of her jobs! 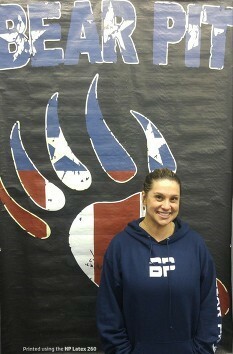 She loves her Bear Pit family and enjoys getting to know everyone as they progress on their weight loss journeys. She started here with little hope of a happy life and now she LOVES coming to work AND working out. She even says that she finds it hard to be unhappy when she is here! She is a mother of 3, working on her bachelors in Business management with an emphasis in Small business entrepreneurship, a certified GIA Jeweler, the owner of reNvinted Jewelry & Women Warriors Boutique and she LOVES anything artsy and things that make her laugh 🙂 oh, and likes punching stuff.